Joan creates a personalized program that fits your health concerns and level of fitness by combining the benefits of Pilates, Eldoa, Smovey and Pole Walking techniques. During your Pilates / Eldoa Movement Specialist sessions you become more aware of the types of movements that are needed to help strengthen your body. Vertical Pilates exercises incorporates proprioception training, balance, strength & endurance. If you love being outdoors, this is the workout for you! This combination of Pilates & Nordic Pole Walking creates a fun energetic workout that's suitable for most ages & fitness levels. During these sessions you will be introduced to Vertical Pilates exercises to help build stamina, strength & endurance specifically for Pole Walking. Nordic Pole Walking incorporates 90% of your body's muscles, and it can be fun for the entire family and with friends. Manage and maintain strength with chronic disease. ELDOA exercises consist of a series of specific postures aimed at relieving pressure and increasing blood flow around particular joints or spinal segments. Smovey is a dynamic fitness product that provides a dynamic upper body workout that gets you fit while helping to burn more calories and stabilize your back and spine. Nordic Pole Walking provides additional benefits in muscular strength compared to conventional walking, making it suitable for improving aerobic capacity and muscular strength as well as other components of functional fitness in a short period of time. 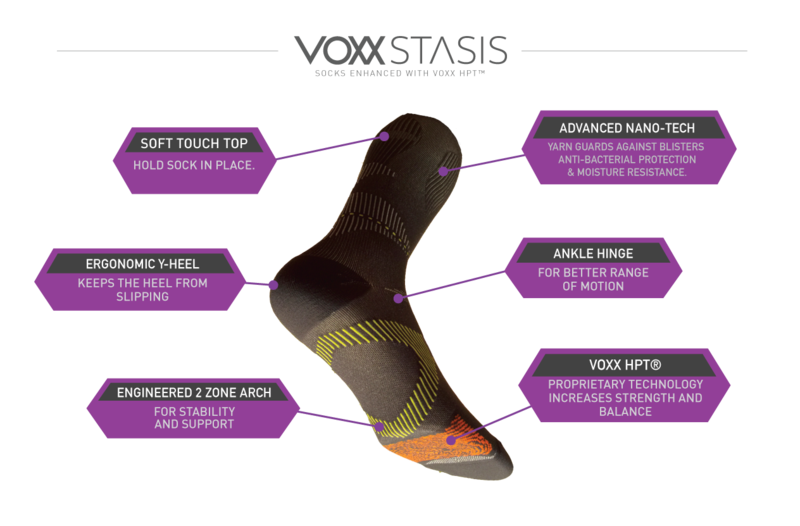 The Voxx HPT Wellness sock provides wearers with all the Voxx HPT benefits including pain management, improved stability and balance. Copyright 2019 Joan Baker Pilates / Eldoa Movement Specialist, Toronto, Canada. Powered by Blogger.